It's his most prized possession — but he doesn't mind sharing if it will make his brother feel better. 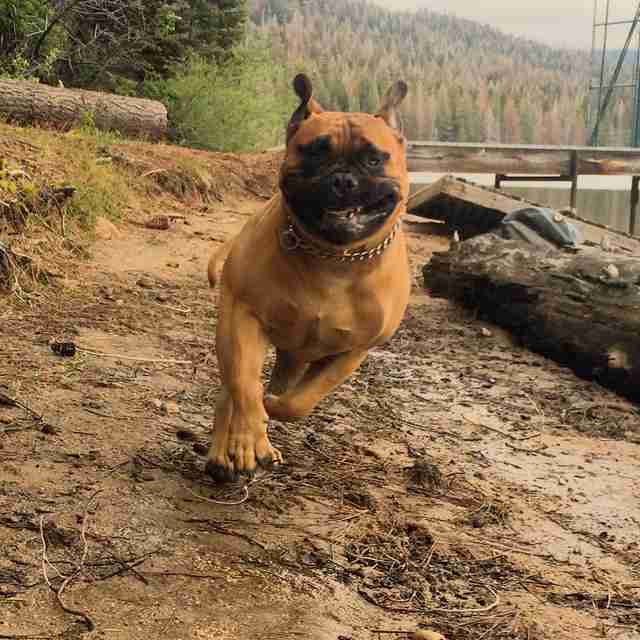 There is just one toy that Brutus, a bullmastiff living with his family in Northern California, has refrained from shredding to pieces: the sacred fluffball. The fluffball is an indistinct plush yellow thing that Brutus likes to carry around in his mouth. "It's the only toy that he won't tear apart in five minutes," Bonnie Michalek, Brutus' human, told The Dodo. Despite Brutus' penchant for destroying toys, he's the most loyal and gentle dog. Bonnie Michalek and her husband have had Brutus since they got him in 2016, as soon as they had a house big enough for a big dog like him. "I call him my first baby," Michalek said. Michalek has to make the distinction of "first" now because she gave birth to their first human child 11 weeks ago: a son named Kayden. 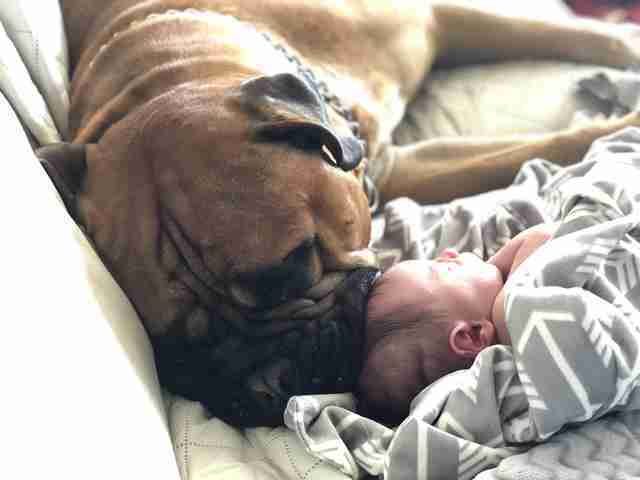 Even though Kayden is a new experience for the whole family, the Michaleks had no concerns about whether Brutus would get along well with the new baby. "He’s always loved kids," Michalek said. "Every time he’s heard kids outside laughing he gets excited." Indeed, Brutus actually knew the Michaleks were expecting even before they did. 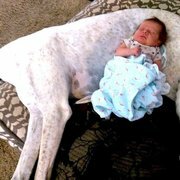 "Brutus knew I was pregnant before I did — he definitely sensed it before I knew," Michalek said. 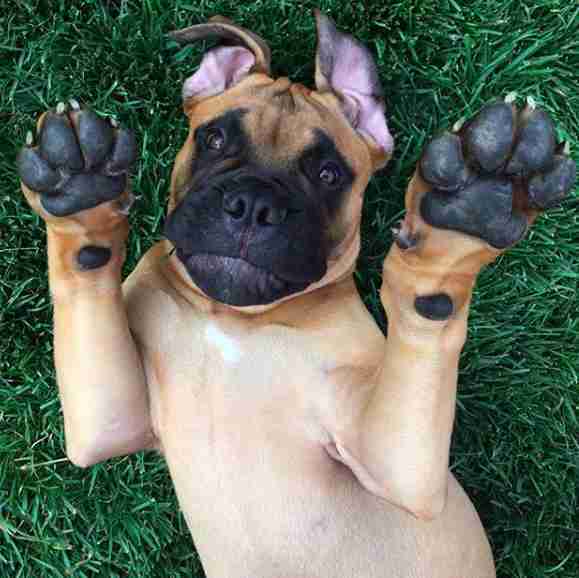 "On the nights my husband was working Brutus refused to be in his crate." Even when Michalek adjusted the crate to give Brutus more room, he refused — he just wanted to be near her. "Looking back I thought he was just being a brat but really he was trying to protect me," she said. 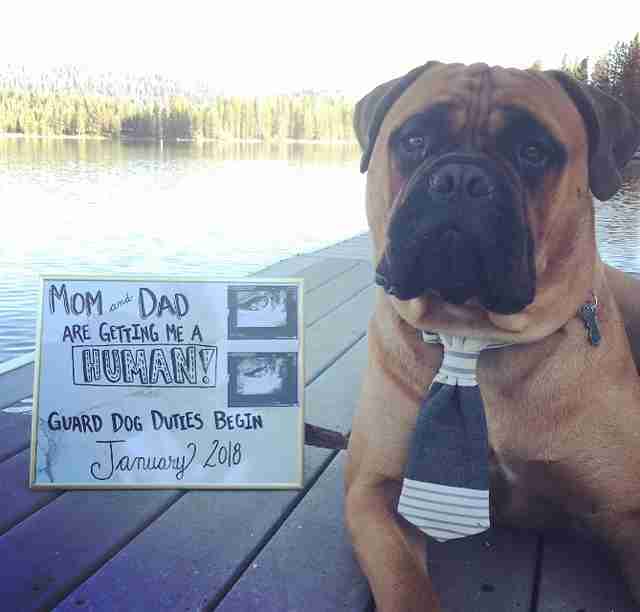 And because Brutus is such a mama's boy, she was careful to include him in the changes occurring in the family as they got ready for little Kayden to arrive. 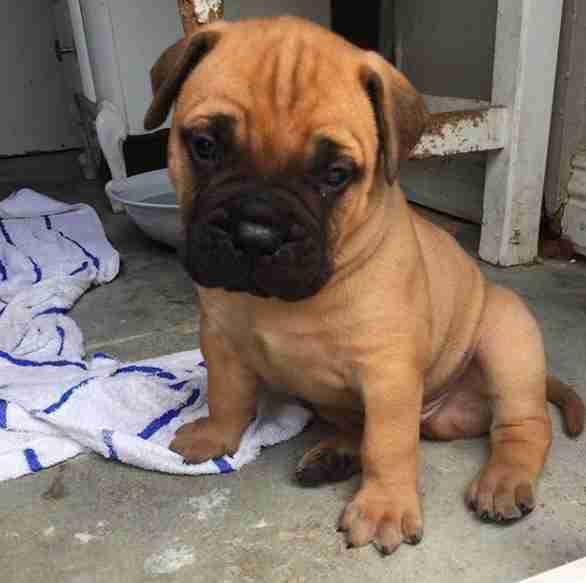 When Kayden was born, Brutus went to stay at Bonnie's parents' house. 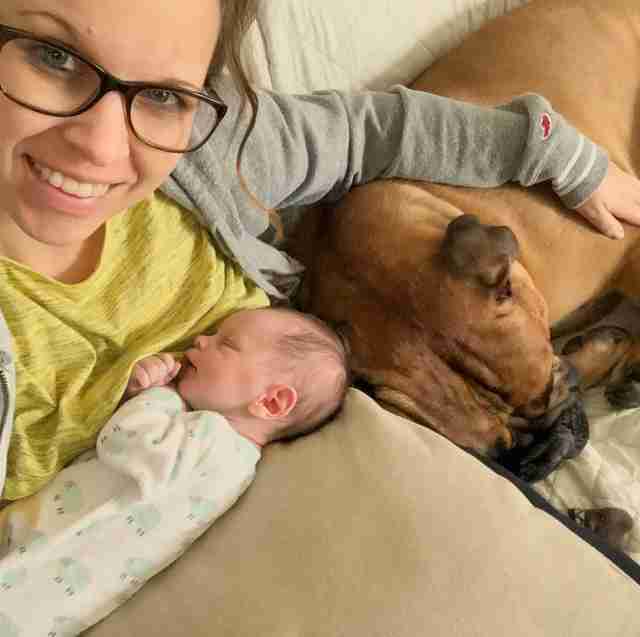 And when his family came to pick him up, Bonnie was cognizant that Brutus, being the mama's boy he is, would want a little time alone with her before being introduced to the baby. "I made sure to pay some attention to him," Michalek said. 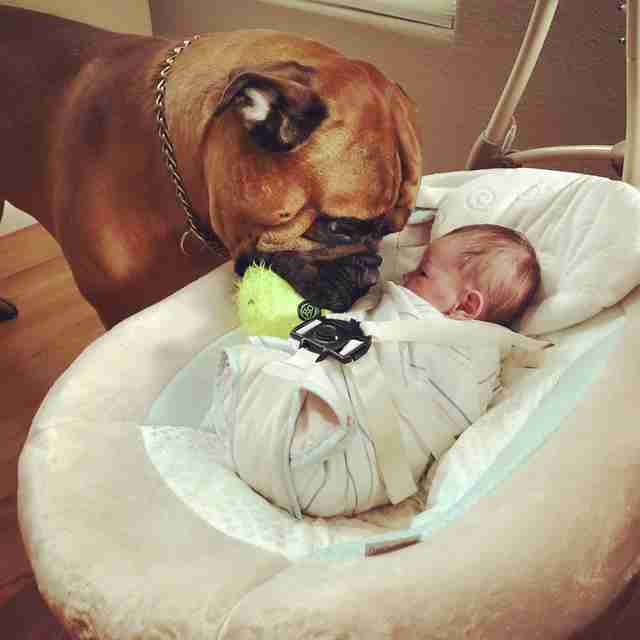 Then she let Brutus come in and meet the baby. 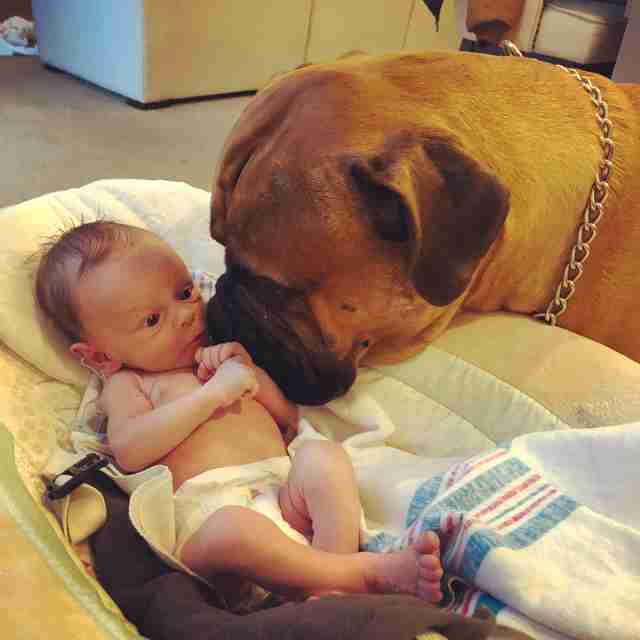 "Brutus completely bypassed my husband to meet Kayden. He immediately wanted to give him kisses and snuggle up to him." 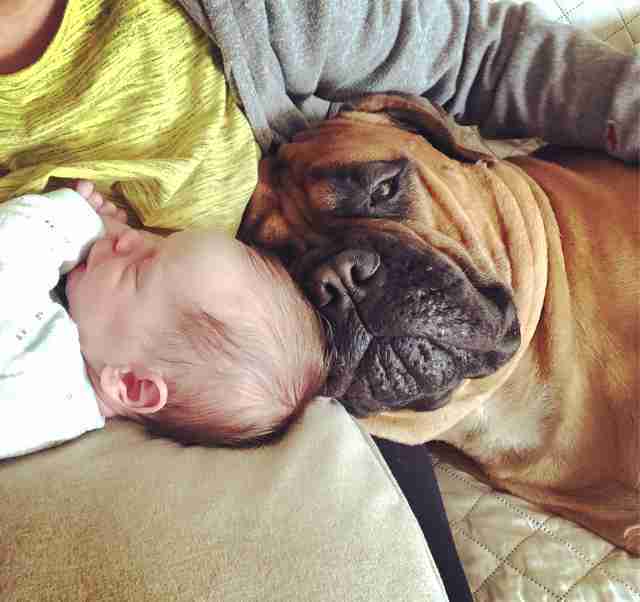 Ever since that first day, Brutus hasn't let Kayden out of his sight. 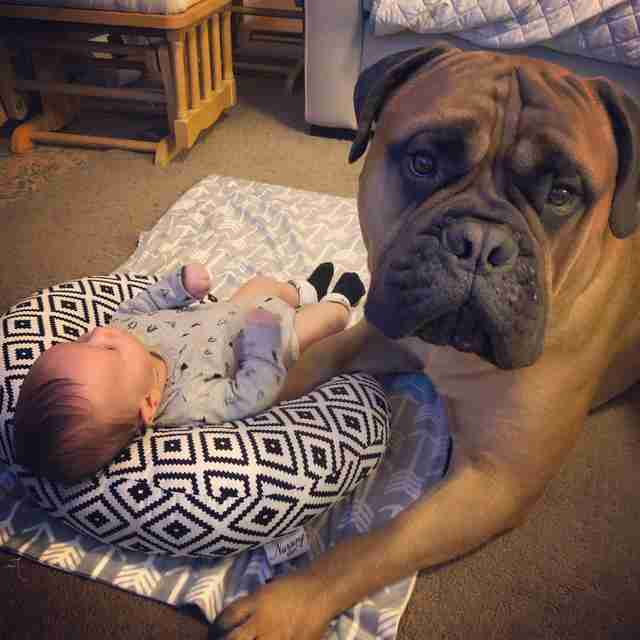 Whenever he hears Kayden cry, Brutus knows he has to help somehow. So he started bringing the famously sacred fluffball over to Kayden. "He grabs his favorite toy to bring it to Kayden to console him!" Michalek said. The whole family is looking forward to the future with Kayden. 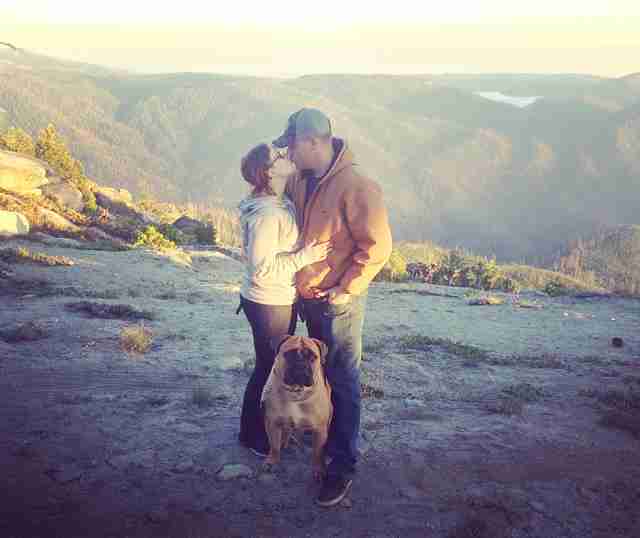 "We go to our cabin every summer and we go hiking and Brutus has loved that ever since he was a puppy. I went there as kid," Michalek said. "I’m super excited to bring Kayden along." Everyone is learning and growing now that Kayden is here. 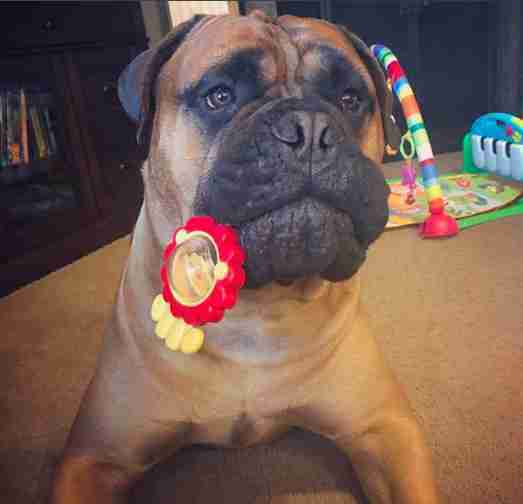 And Brutus just learned that, in addition to the fluffball, there are other kinds of toys out there that aren't even for dogs — but hopefully Kayden will return the favor and share. Thinking about adding a furry family member to your family? Then meet Dodo Adoptbot, an interactive guide for new pet parents. Get started on Facebook Messenger or text HOME to 38349.